Spiked Pumpkin Spice Latte – make your own pumpkin spice latte at home…and spike it with vanilla vodka and Fireball! This is the perfect fall cocktail to warm you up. Make it for one or for a crowd in the crockpot. Well, now that it’s officially fall is it acceptable to post hot drinks and all things pumpkin spice? I feel like the last month has been consumed with things for my birthday party and now that the party is over I can focus on my favorite season of the year: PUMPKIN SPICE SEASON. A Spiked Pumpkin Spice Latte is the perfect fall cocktail to warm you from the inside out. Make it for yourself or throw the ingredients in a crockpot and make it for your next fall gathering. Now that my favorite creamer is back in the grocery store, I’m making pumpkin spice coffee all day long every day. And with this spiked version you add some extra flavor with vanilla vodka and cinnamon whiskey. Have you ever tried cinnamon whiskey (aka Fireball, like the song)? It’s actually so good and tastes like a melted red hot candy. I love soaking my drunken cherries in it and a friend of mine tells me to try adding it to hard cider because it tastes like a cinnamon roll. For now, I’m adding it to coffee along with International Delight Pumpkin Pie Spice Coffee Creamer. It’s my favorite fall flavor! 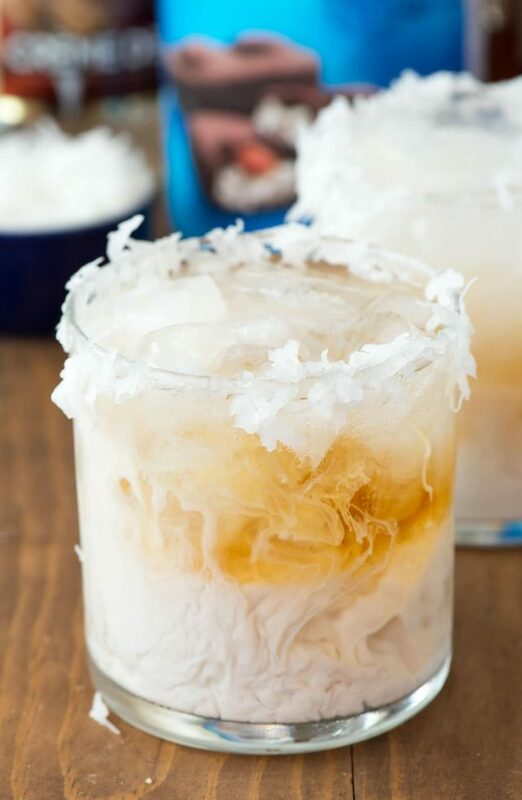 The combination of the cinnamon, creamer, and vanilla vodka makes this a delicious fall hot cocktail. Every sip makes me crave a fireplace and a movie and a nice warm fleece blanket. 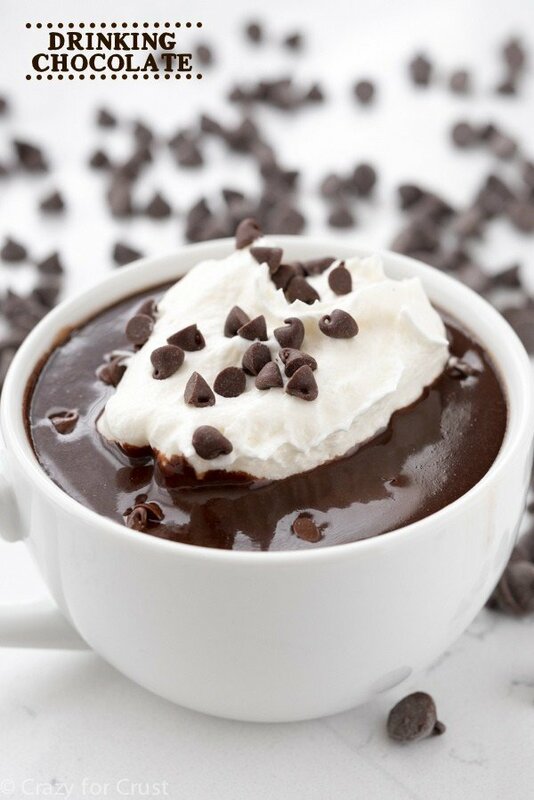 I love making these just for myself using a single cup coffee maker, but I’ve also thrown all the ingredients in a crockpot and kept it warm for hours during a party. It’s the perfect way for us football wives to get through Sunday, just saying. Spiked Pumpkin Spice Latte - make your own pumpkin spice latte at home...and spike it with vanilla vodka and Fireball! This is the perfect fall cocktail to warm you up. Make it for one or for a crowd in the crockpot. Add coffee, liquor, and creamer to a mug. 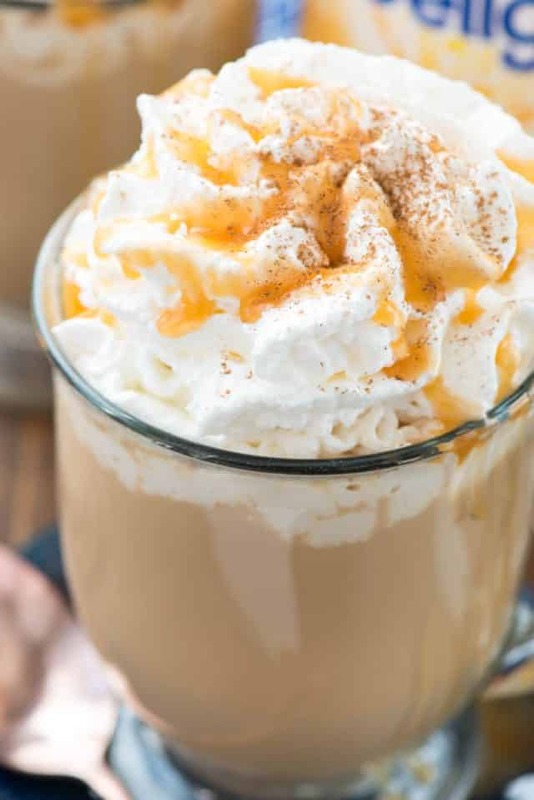 Top with whipped cream, caramel, and a sprinkle of cinnamon. Serves 1. To make for a crowd: Place 12 cups coffee, 1 1/2 cups vanilla vodka, 3/4 cup cinnamon whiskey, and 1-2 cups creamer in a crockpot on warm setting. Serve with whipped cream. 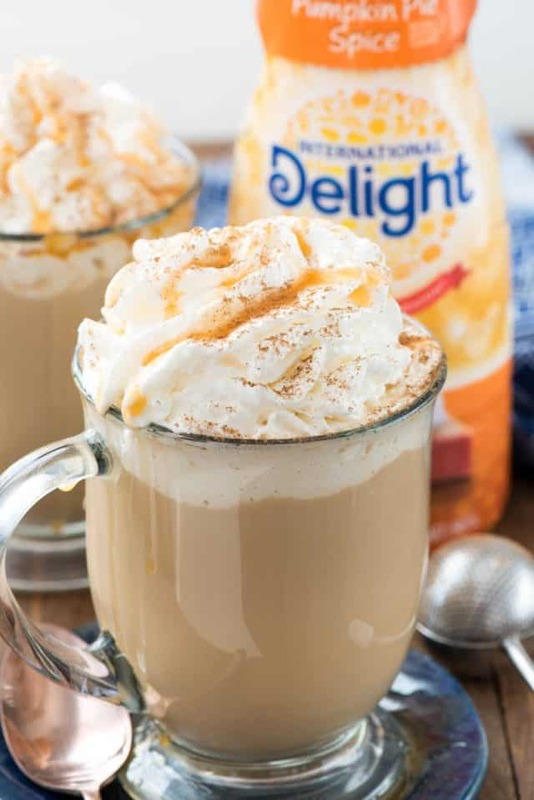 Connect with International Delight on Facebook, Twitter, or Instagram. I haven’t had Fireball in about….20 years. And this looks like the perfect drink to break my streak! 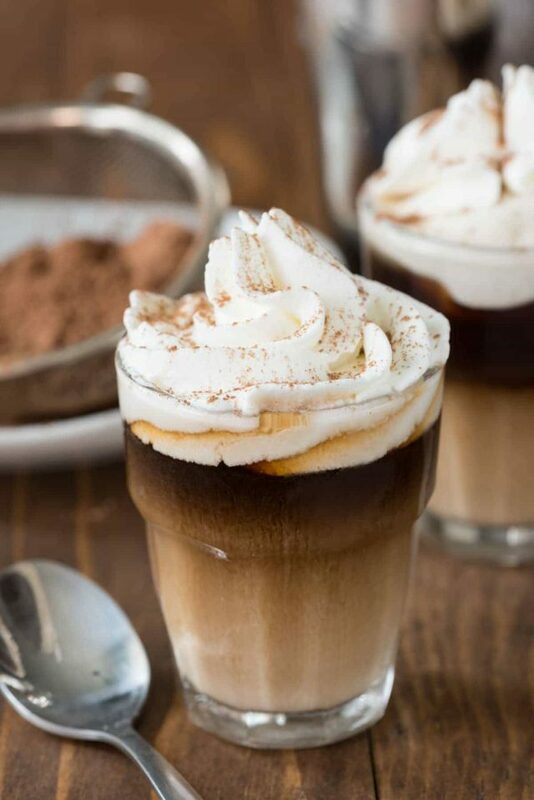 So true about DIY coffee drinks – you control the calories and for the same price as 1 drink out you can make about 10 at home! This looks great! Just when I thought I couldn’t dream about PSLs any more than I already do. 🙂 These look and sound SO perfect for a cozy Saturday night in! I don’t usually love PSLs, but this is a recipe I can get down with! I just made PB&J pancakes with International Delight’s new Reese’s creamer and OMG they were life changing. They seriously have the best flavors of creamers. I don’t usually love PSLs, but this is a recipe I can get down with! I just made PB&J pancakes with International Delight’s new Reese’s creamer and OMG they were life changing! They seriously have the best flavors of creamers. Saw this on Pinterest. Yum! This is my 1st thanksgiving in 8 yrs that I’m not hosting a big family meal or flying – this sounds perfect thing to have for the holiday!